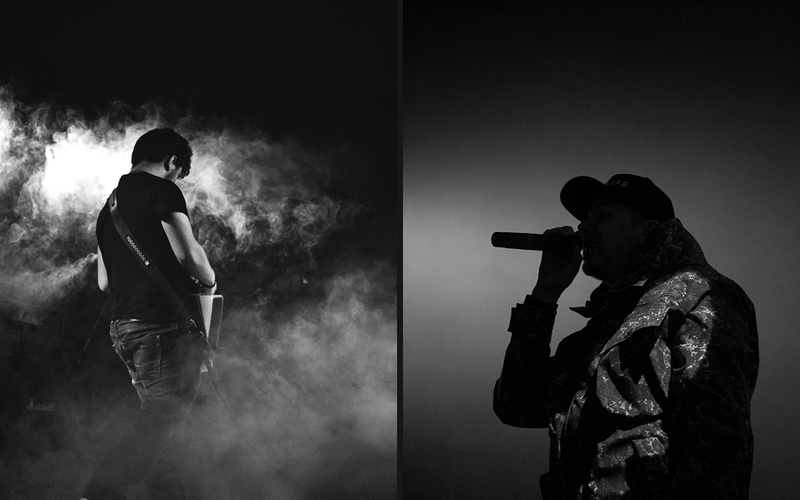 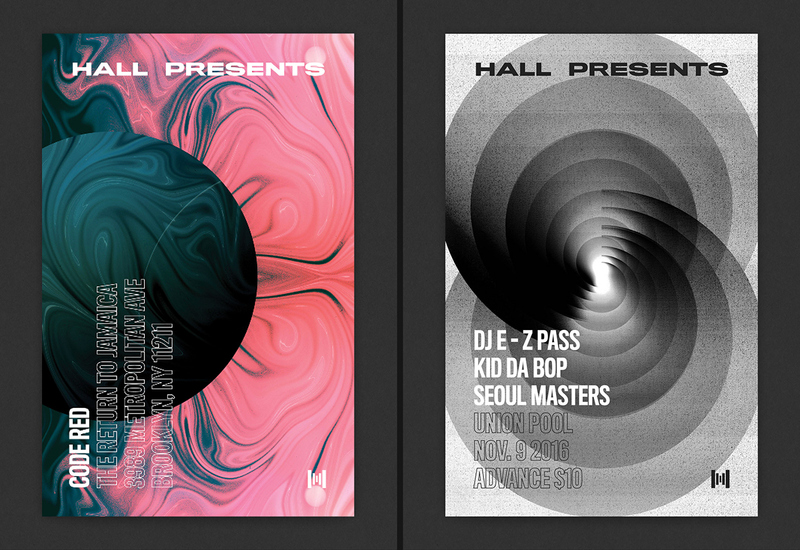 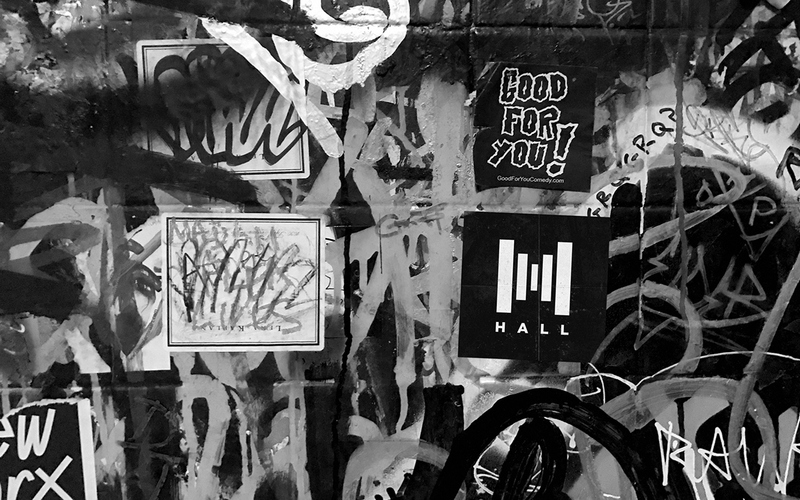 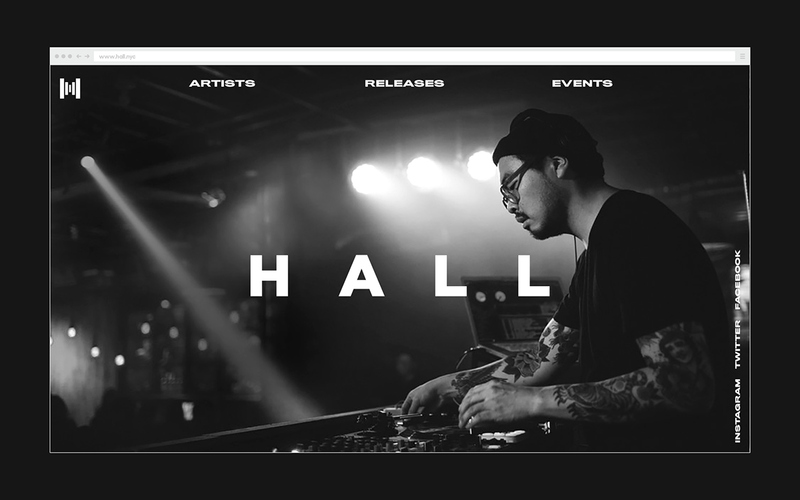 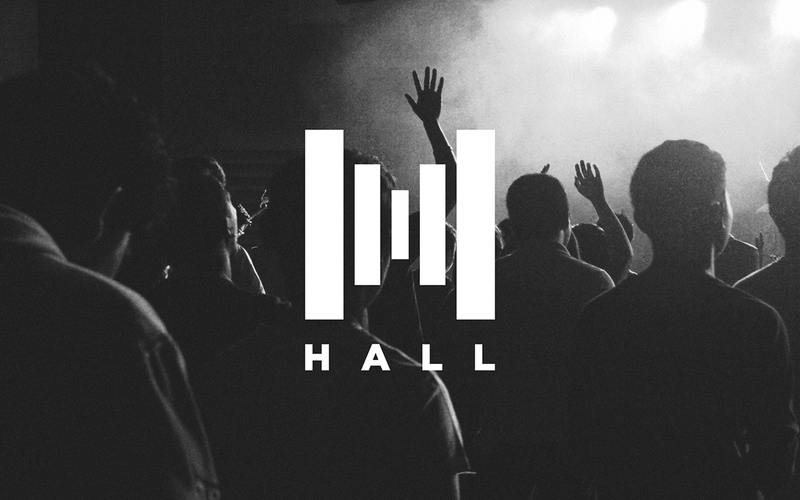 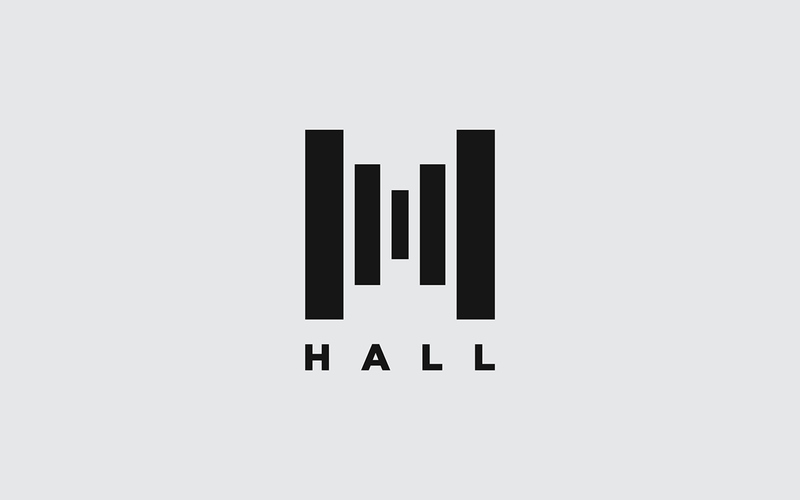 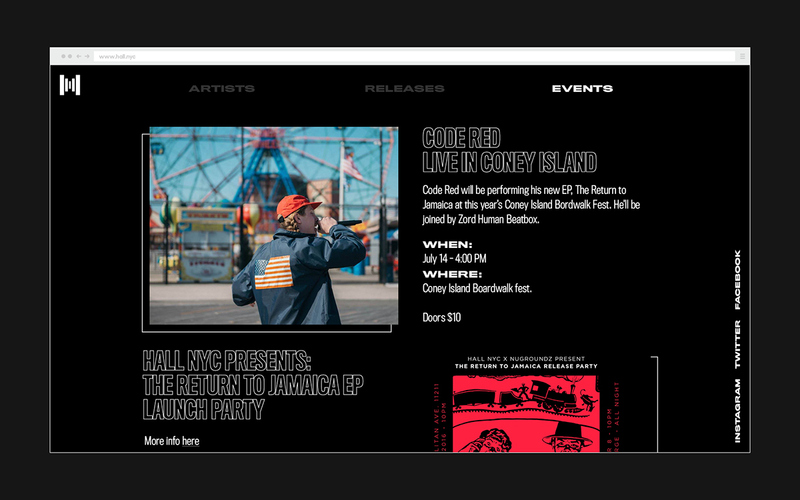 Hall is a music collective founded in New York City. 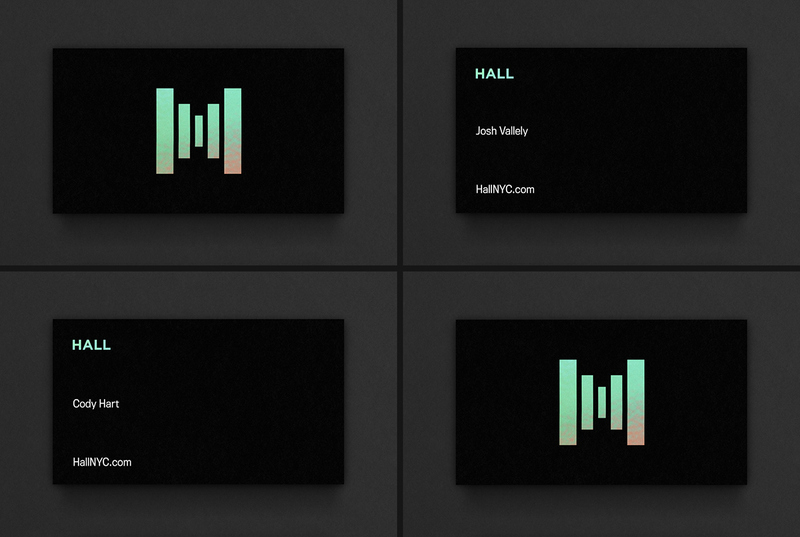 The founders, Josh and Cody, came to us when they were first starting out, looking for an identity and packaging system. 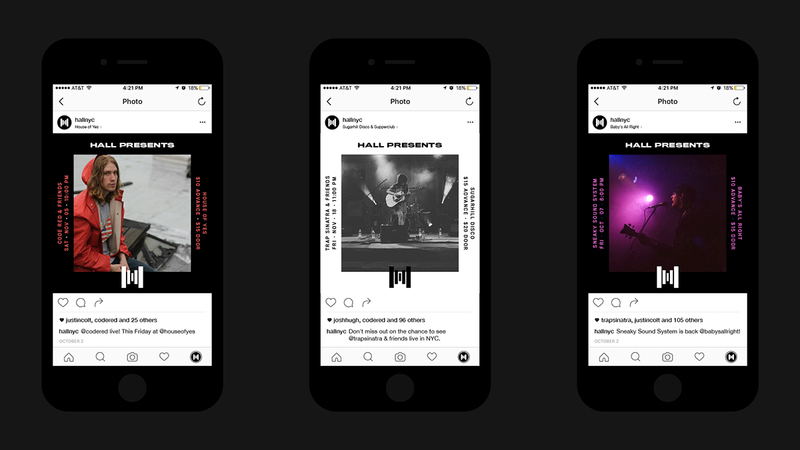 One of the main considerations was to define the guidelines that would allow every artist in the collective to feel unique, but still a tied together as a collective whole. 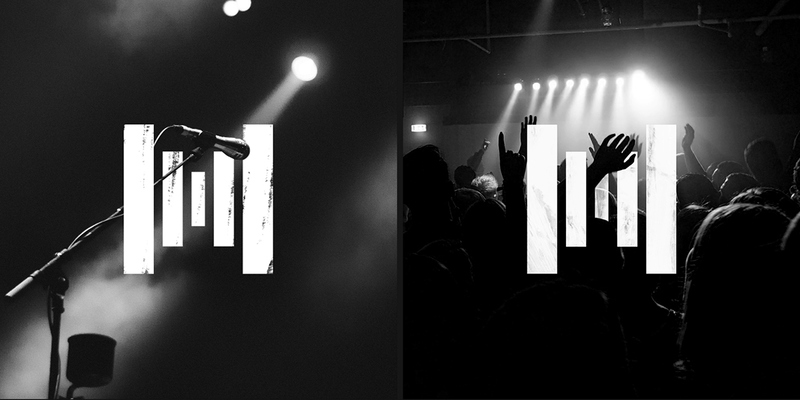 To kick things off we created a minimal logo that was flexible enough to work across the board. 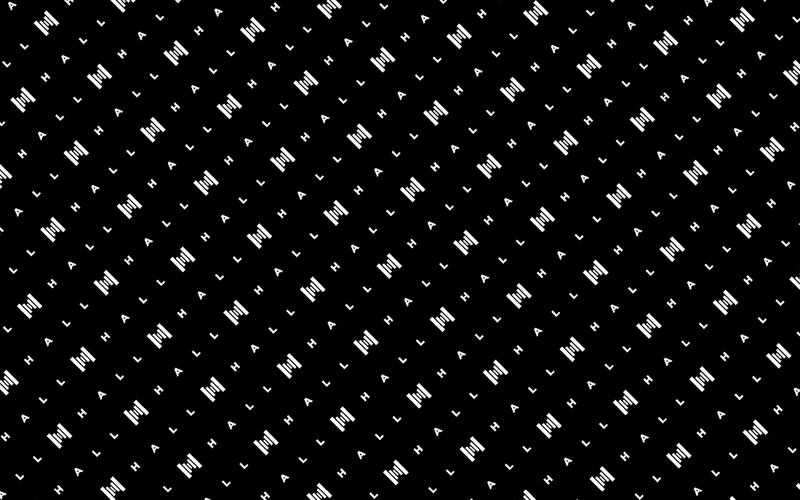 It could be spray-painted on a wall, foil-stamped on a card, or animated and projected on a wall. 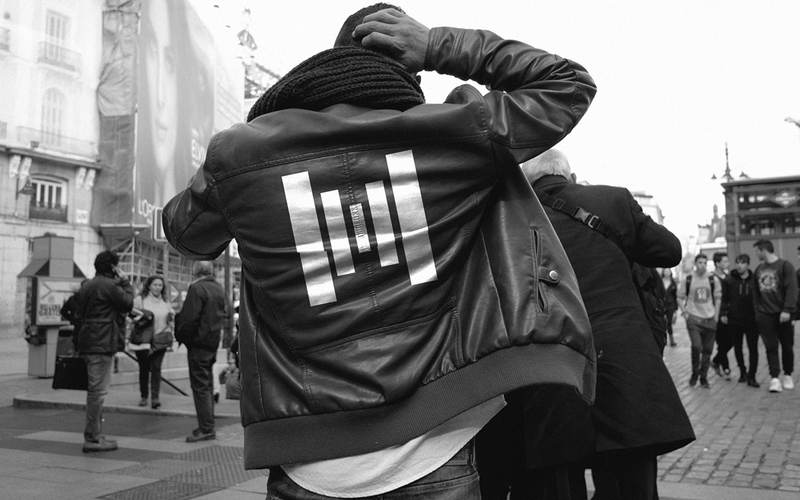 It also served as a consistent mark proudly used by all artists, uniting them together. 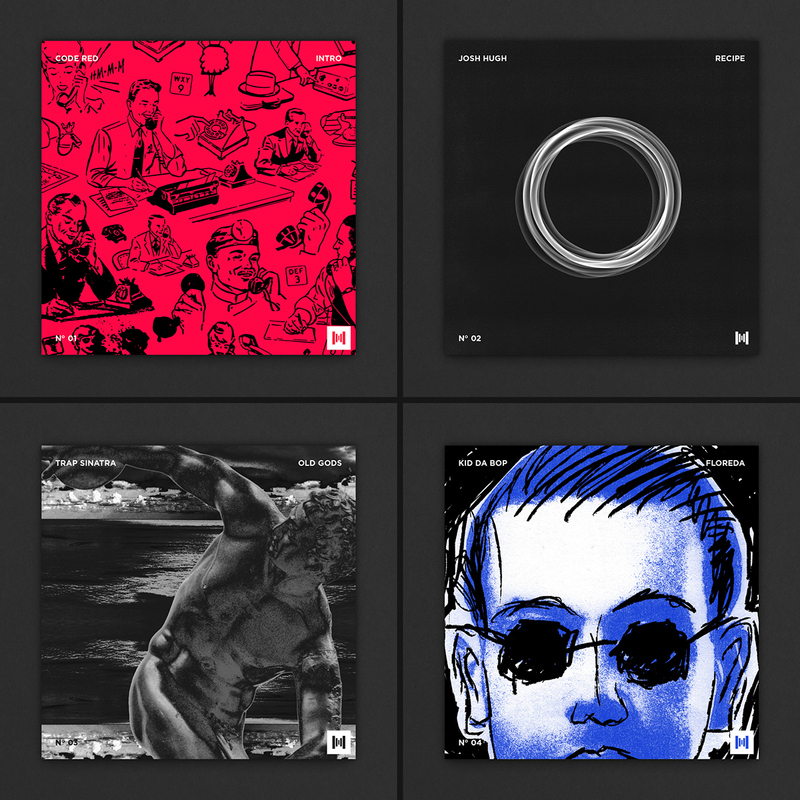 For album covers, we created a set of guidelines for how these should be created and which elements should be consistent. 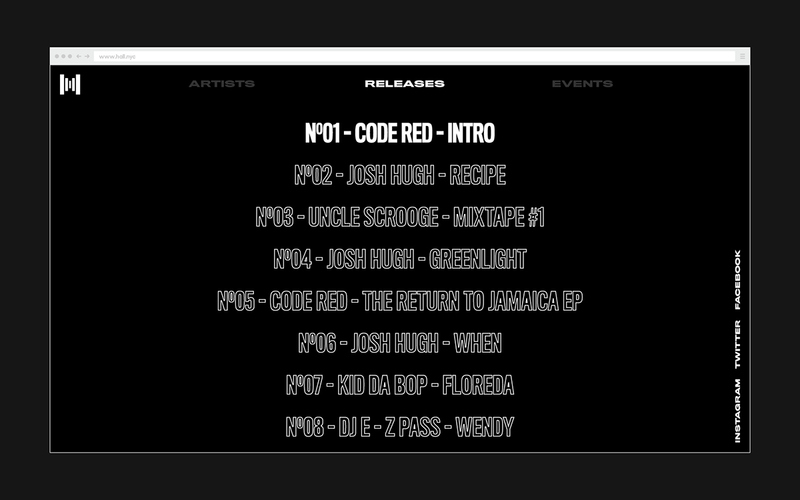 Artist Name, Album Title, and Project Number all have a fixed position and type treatment. 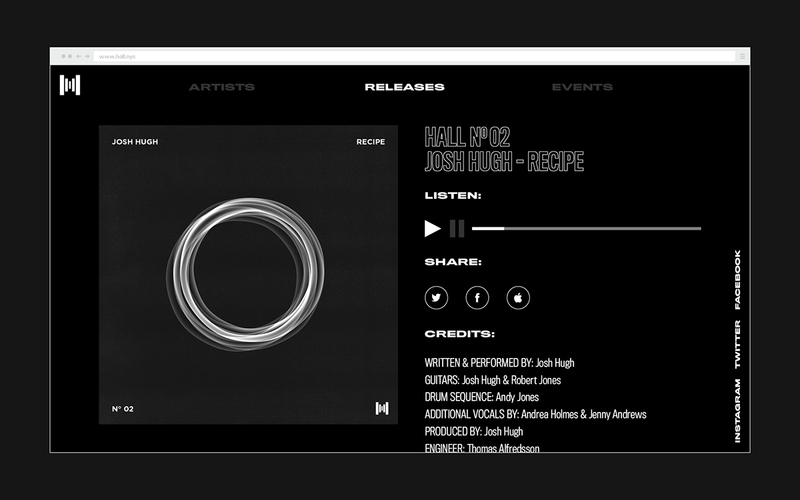 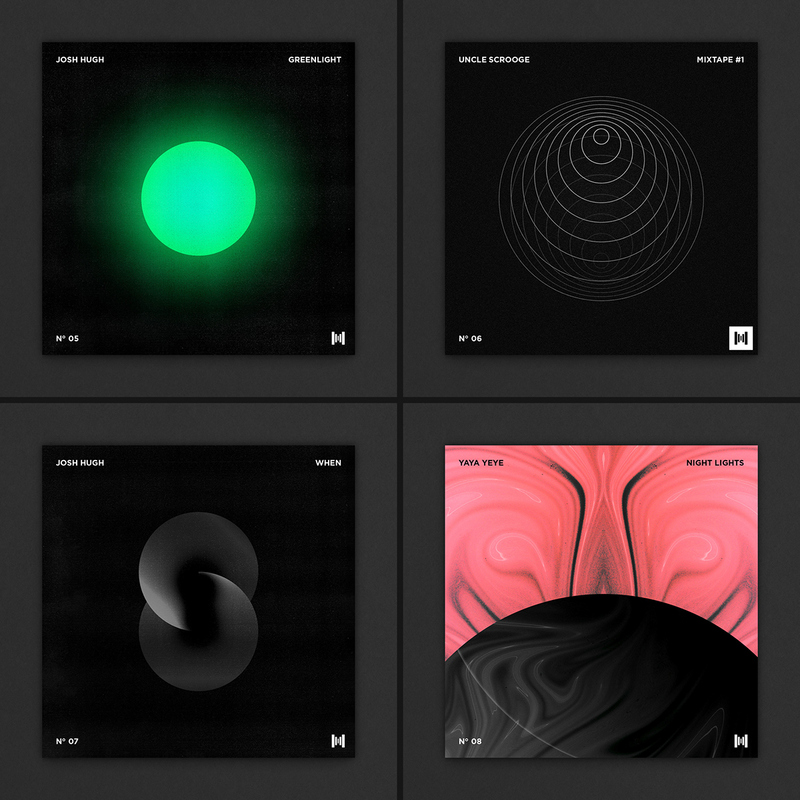 This creates a consistent look across artists and albums, while still allowing for individual album cover artwork. 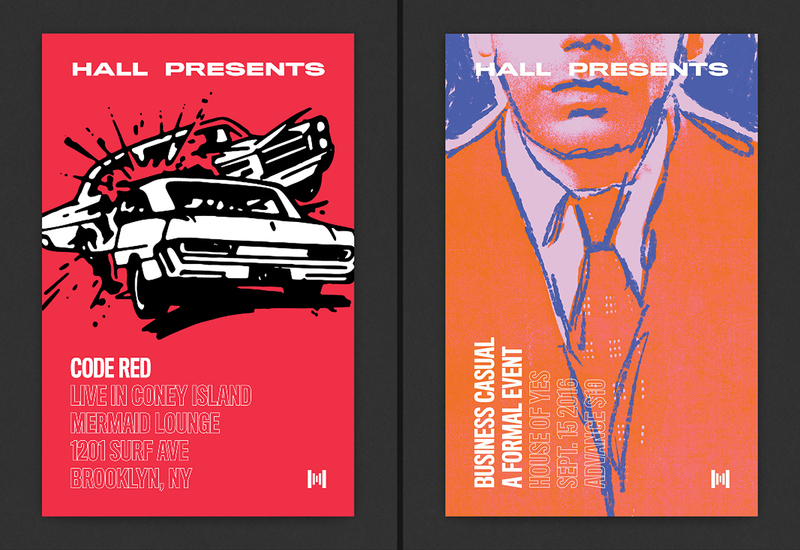 The same methodology was applied to posters and promotional material. 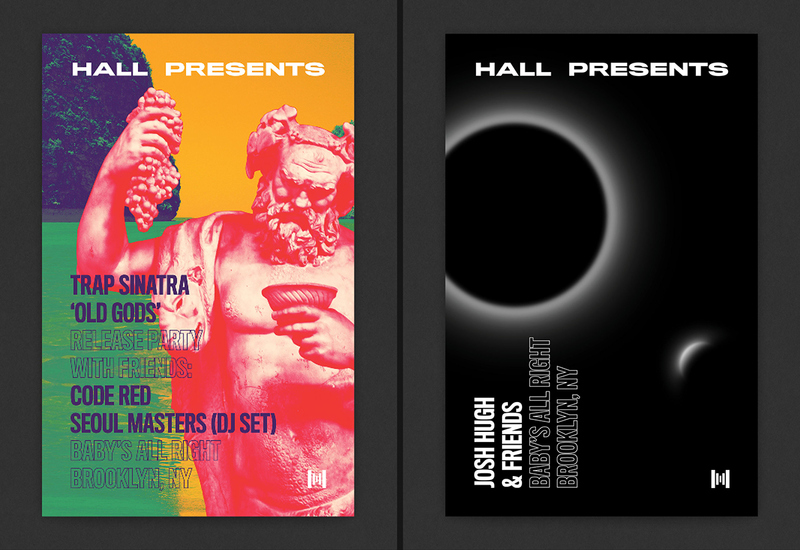 Because Hall was growing fast, having these guidelines in place allowed us to quickly design new covers and materials for their growing artist roster.